Led by a husband and wife team for the last 15 years, The Dolanc String Quartet provides music for weddings and social events. The quartet's speciatly is a wide variety of music in their repertoire that includes classical, jazz, blues, tango, big band, pop, 80's, grunge, hard rock, and much more. 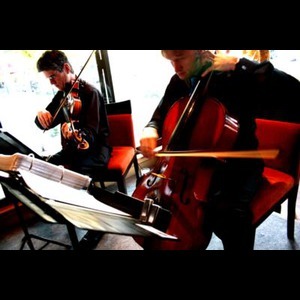 The Dolanc String Quartet performs regularly with classical recitals, background at local restaurants and art galleries and even the occasional recording session with big name bands. Weddings are also a particular area of expertise for this group with their reasonable prices, highly trained professional musicians that make up the quartet and a coordinator who very much enjoys working with couples to fit just the right music to their vision and taste for the big day. It was a pleasure working with Christina. 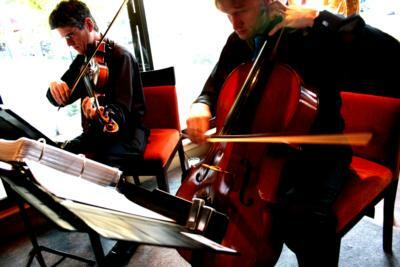 She was very professional and the quartet sounded great on our wedding day. Wish we had more time to stick around to enjoy the music. Christina was beyond easy to work with. The entire quartet was fantastic, professional and made such a difference in our event. I would recommend their group to anyone looking to add beautiful music and wonderful people to their special occasion. 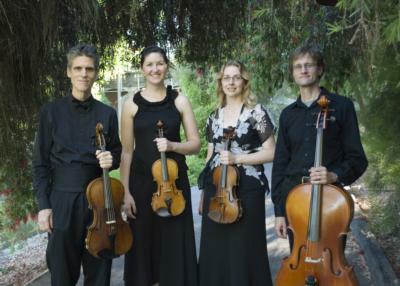 Please note The Dolanc String Quartet will also travel to El Macero, Dixon, Sacramento, West Sacramento, Woodland, Broderick, Clarksburg, Winters, Yolo, Hood, Madison, Elmira, Represa, Rio Linda, Elk Grove, Vacaville, Courtland, Elverta, Esparto, East Nicolaus, Knights Landing, Zamora, Nicolaus, North Highlands, Antelope, Carmichael, Pleasant Grove, Robbins, Walnut Grove, Capay.